The Hanging Gardens of Babylon are known as one of the Seven Wonders of the World of old times. Have you ever heard of the Seven Wonders of the Ancient World? Were the Hanging Gardens of Babylon one of them? Yes, they were considered one of the wonders of the Ancient World. Are you wondering why were they built, and who made them? If you are, that is exactly why you should read this story. The Hanging Gardens of Babylon were one of the Seven Wonders of the old world. 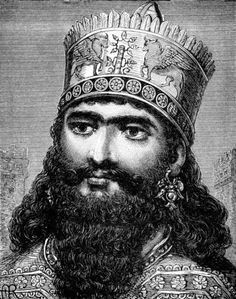 A long time ago a man named King Nebuchadnezzar the Second built the Hanging Gardens of Babylon. But how exactly did he do it? Well, archaeologists think that they were laid out of a top vaulted building, with provisions for rising water. However, it didn’t last forever. Some historians believe the gardens were destroyed by war and erosion. After many years, people have a hard time finding the location of the gardens, because it looks like they never existed, to begin with. Image of Nebuchadnezzar the Second. Today the scientists have not really established where the gardens were located. Many historians believe that they were built in the ancient city of Babylon, near present-day Hillah, Babil province, in Iraq. However, many other people think that the Hanging Gardens of Babylon were just a myth, it was built of a fairy tale built on the ideals of love and affection. If they existed, the gardens were probably constructed around the year 605 B.C.E. That was a long time ago! It was not known why the King Nebuchadnezzar has built these gardens. His favorite wife, named Amytis, was from a far away land and felt very sad for her homeland. The King decided to build the gardens to cheer her up. All he wanted was to make her happy. The Hanging Gardens of Babylon were one of the Seven Wonders of the Ancient World. The story behind their construction is quite touching. The Hanging Gardens of Babylon were not just a regular garden. It was a place filled with memories and love. It was a garden that took the King Nebuchadnezzar II many years to build just for his beautiful loving foreign wife. What a love story! Annabelle D. Student "The Hanging Gardens of Babylon by Annabelle Dalov" AwesomeStories.com. Jun 01, 2017. Apr 23, 2019.